If you’ve been following the news lately, you’ve seen a lot of stories about the weather. Be it snowstorms, crazed weather patterns, or sudden thaws, even if you don’t live where they hit, you get a sense of how harsh Mother Nature can sometimes be. The lesson such weather teaches us is simple: we have to be prepared for the worst. Those in product fulfillment need to keep this lesson in mind, as their business needs to remain as safe as possible. That means taking proper measures to keep valuable materials secure. It sounds obvious, but given that security in product fulfillment has never been more crucial, it’s good to reiterate. The digital era’s means of data exchange can be especially harmful due to how easily available and distributed information now is. And since product fulfillment is a business that relies on both professional and client relationships, there’s additional pressure to be the most secure business around. 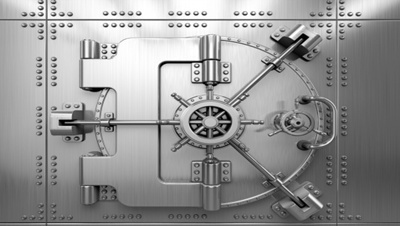 Your clients’ information has to be kept as secure as Fort Knox. Legal implications aside, a failure to do so is a betrayal of your customers’ trust and the unspoken promise you made with them to keep their information private. This means everyone in your order fulfillment center has to keep client information under lock and key; this is now usually done using an efficient digital system. One good security measure is to only have trusted select personnel be able to access this information, such as the call center agents who take orders. Access to these files can also be made to require codes and/or the providing of relevant information. If the clients themselves access their data, they can then use it to help them place orders; receive logistics fulfillment information, like shipment tracking numbers; and make corrections to their information, which is saved to the secure database. A lot of businesses still use old-school techniques to ensure client confidentiality, some of which you might want to use as well. For example, many companies shred all discarded client documents or only use faxes or personal mail for confidential documents. However, it doesn’t really matter what you use, provided you keep the information safe. Many product fulfillment companies have great security in place for their clients, but sometimes neglect the safety of their business partnerships. You’re likely dealing with a lot of fulfillment services or product suppliers, and their information is just as important as that of your clients. That’s why if you’re making associations with other outsourcing fulfillment groups, you have to keep all relevant information properly secure: this includes contracts, receipts, e-mails, and correspondence. You might also deal with overseas fulfillment services, in which case you have to be able to keep any legal information associated with your agreements on hand. The digital world can also prove useful, as you can save online correspondence and scanned paper documents to a digital file. By keeping secure digital copies of the files, they are also easier to keep properly sorted and accessible, should a need to reference them ever arise.